Gov. Tom Wolf’s administration carefully orchestrated how the state would maintain a competitive edge as it helped Pittsburgh, Philadelphia and other entities vie to be the home for Amazon’s second headquarters. The governor’s office is fighting in court to not release information about incentives the state offered to Amazon. In a recent filing in its case against PublicSource, the governor’s office filed copies of non-disclosure agreements [NDAs] as part of its appeal to the Commonwealth Court. Wolf’s office is trying to overturn a January ruling by the state’s Office of Open Records that documents related to Amazon incentives should be made public. PublicSource first requested the information in late October. And Wolf’s officers wrote in a clause, reserving the right to keep information about the state’s quest for HQ2 under wraps for up to five years. The city of Pittsburgh submitted its bid on Oct. 19. In January, Amazon announced that Pittsburgh, Philadelphia and 18 other cities were finalists for HQ2 . The company is expected to announce which city will get HQ2 sometime this year. The state Department of Community and Economic Development [DCED] is reportedly offering Amazon more than $1 billion in incentives to locate in Pennsylvania. DCED Secretary Dennis Davin and officials from several Pennsylvania municipalities signed NDAs. The language in the NDAs gives the state the option to keep its Amazon documents secret for up to five years even if the NDAs expire or are cancelled. The governor’s attorneys said in a court brief that the incentives could be made public once Amazon makes its decision. Pittsburgh Mayor Bill Peduto has repeatedly promised that he’ll make Pittsburgh’s bid public after Amazon announces the winning location. You can read the NDAs here. The NDAs cite language in the state’s Right-to-Know Law as a way to define what’s confidential and what isn’t. At issue is whether or not the "confidential information" protected by the NDAs is also protected by the Right-to-Know Law. The state's Office of Open Records ruled in January that the information the NDAs seek to protect are not covered by the Right-to-Know Law. “We made the decision that the NDA alone doesn’t make it confidential proprietary information,” Nathan Byerly, the deputy director of the Office of Open Records, said of its determination. From Pittsburgh, Allegheny Conference CEO Stefani Pashman, Peduto’s former chief of staff, Kevin Acklin, and Urban Redevelopment Authority Executive Director Robert Rubinstein signed NDAs. Officials from Philadelphia, Harrisburg, Delaware County and the Lehigh Valley also signed NDAs. It is unclear if that is an exhaustive list of people who signed NDAs or just a sampling provided in the court filing. Timothy McNulty, a spokesman for Peduto, declined to comment on the NDAs. A spokeswoman for the URA referred questions about Rubinstein’s NDA to the Allegheny Conference. Philip Cynar, a spokesman for the Allegheny Conference, declined to comment. “There should be no mistake, states’ efforts to attract business is itself a business, particularly when those businesses...seek out confidential proposals asking regions to ‘promote’ themselves,” Howell wrote. Melissa Melewsky, the media law counsel for the Pennsylvania Newsmedia Association, sees it differently. By using the Right-to-Know Law as the basis for what counts as “confidential information” in the NDAs, she said she views it as Wolf’s administration preemptively arguing that its Amazon documents are protected from release. “They’re saying, ‘We won’t release this information unless we’re required to by law,’” Melewsky said. Mutchler said the public has a right to know what Wolf’s administration offered to Amazon. 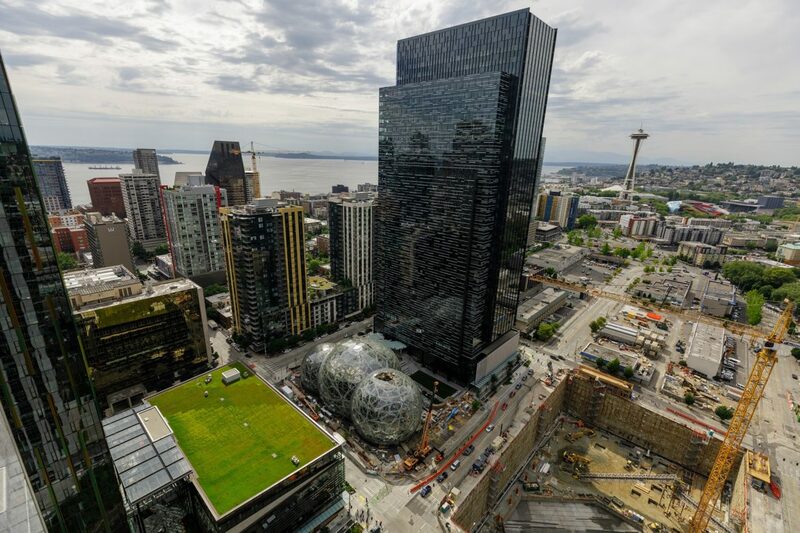 “The bottom line is that the public has a right to know what’s being offered in its name, and how deep the commonwealth is reaching into the citizen pocket to entice Amazon to be part of the city’s skyline,” Mutchler said. PublicSource’s response to the brief from the governor’s office is due June 29. Many HQ2 finalist cities are keeping their offers secret, but there are some exceptions. Columbus, Ohio, has offered significant tax breaks to the company, including no property taxes and a 35 percent discount on income taxes for 15 years. Chicago is reportedly offering $2 billion in incentives, and Newark, New Jersey, is said to be offering $7 billion in incentives. Toronto, the only Canadian HQ2 finalist, released its bid and offered no financial incentives. In Ohio, a court ruled in April that documents related to Amazon incentives should be made public. The rest of the state’s court filing includes several pages of argument over the definitions of “confidential proprietary information” and “trade secrets.” The Office of Open Records ruled earlier this year that the Amazon documents don’t count as trade secrets or confidential proprietary information. Howell argued in a court brief that because DCED developed incentives “solely” to respond to Amazon’s request for bids, the information is “unique” and is, therefore, protected. In late May, the Pittsburgh Business Times reported that DCED had created a new economic development program specifically for Amazon. As officials around the state have argued for months, Wolf’s attorneys make the case that other cities could “undercut” Pennsylvania’s incentives if they were made public, causing both Pittsburgh and Philadelphia to lose their shots at landing HQ2. 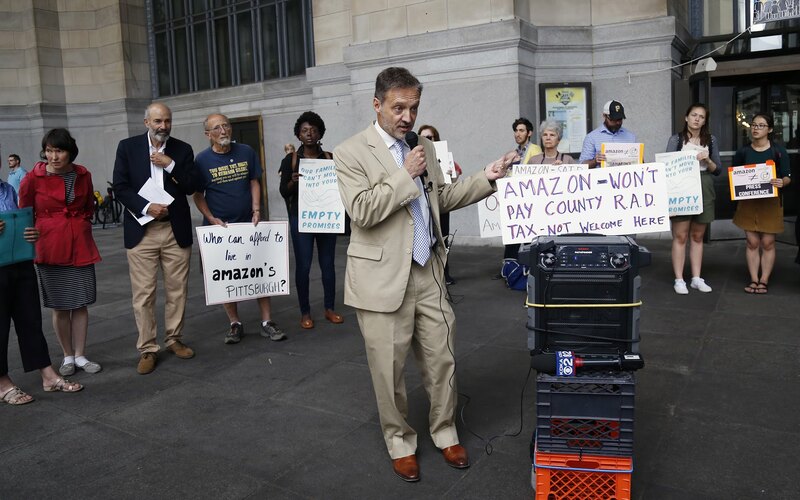 “...disclosures of the requested records could ultimately scuttle the attempt to incentivize Amazon to locate its headquarters in Pennsylvania, or could dramatically raise the costs of such incentives,” Howell wrote. Toward the end of the brief, Howell writes that the “trade secret” and “confidential proprietary information” exemptions in the Right-to-Know Law usually only apply when businesses submit proposals to the government, not the other way around. He argues that the exemptions should apply both ways. Wolf’s office is pursuing a similar case against The Morning Call, the newspaper based in Allentown, Pa. When it comes to local and state government, the People have the right to know EVERYTHING. There is no “national security” involved. Politicians forget who they work for and who they are supposed to fear . Confidentiality and non-disclosure does not belong in the public business forum. When it does exist in the public business forum something WRONG is being done.